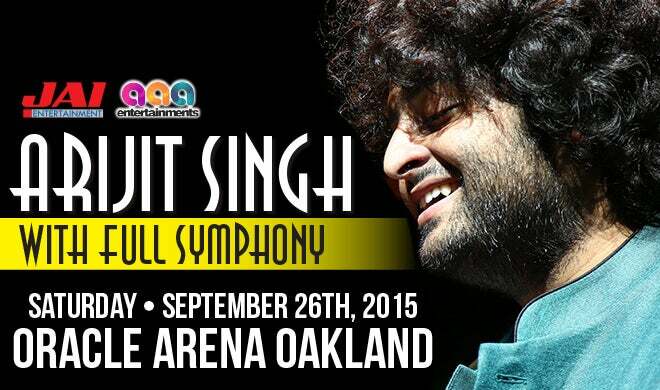 Featuring Bollywood's current singing sensation, the mesmerizing Arijit Singh live in concert with full symphony is happening on September 26th at Oracle Arena! 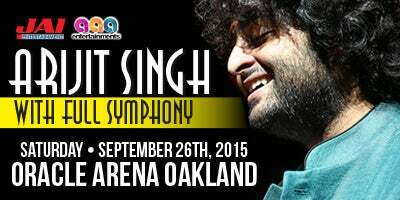 Arijit Singh's voice has taken the country over by storm and he is one of India's leading & most successful singers. He has produced one hit song after another and his music is favored by the youth and people of all ages....his music and his songs are versatile and soulful, making him a household name not only in India but his fans all over the world. Doors Doors will open one hour before scheduled performance time. Tickets are available at all Ticketmaster locations, online at Ticketmaster.com and charge by phone at 800.745.3000. Ticket Prices $43.00, $63.00, $83.00, $130.00, $160.00 (fees not included). Parking gates open 2 hours before scheduled performance time. Parking is $40 for vehicles, and $85 for oversized vehicles, limos, and buses.